Imagine being able to watch the very best in Independent film in the comfort of your own home. Not only that but you’re able to watch them from the day that the film is released in cinemas. When I heard that Curzon Cinema was launching their Curzon On Demand service , I thought it was too good to be true but no, the service has launched and it is absolutely brilliant! Curzon On Demand brings you a curated online experience featuring the cream of art-house and independent films. This service is nothing like other streaming video services. The films are available as soon as they are released in cinemas so if you can watch it in a Curzon cinema, you can watch it using this service. They have a vast online catalogue of classic and contemporary films and where possible, the films are streamed in HD (but that depends on the speed of your internet connection, of course). I thought I’d try out the site and I decided to watch the 2011 film Corpo Celeste, an Italian film written and directed by Alice Rohrwacher. I specifically picked a foreign language film so that I could test the experience of watched a subtitled film at home. 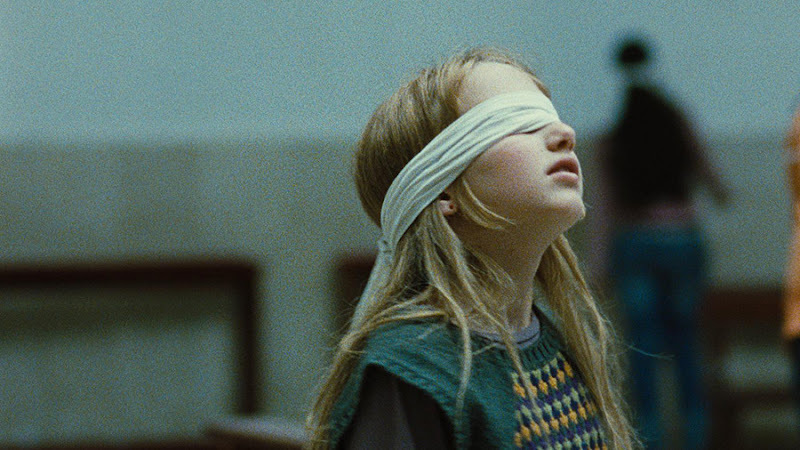 Corpo Celeste is a stunning coming-of-age film featuring debut actress Yle Vianello as Marta. Thirteen-year-old Marta returns to southern Italy with her mother and sister after growing up in Switzerland. As she struggles to fit in with those around her and her own changing body, Marta begins to take catechism classes at her local Catholic Church. She is struck by the seeming hypocrisy of the dispassionate yet ambitious local priest and clashes with her mother, sister and Sunday school teacher Santa as she struggles to define herself. This is such an excellent film and at times I felt absolutely immersed in this poverty-stricken town in southern Italy. The viewing experience was certainly enhanced by our home theatre system and high speed internet connection but I was most impressed by the quality of both the image and sound provided by the Curzon On Demand connection. This is more than just a home cinema experience and I am thrilled to be able to access films of this calibre in this manner in future. And the best part of it all? It is free to sign up to the Curzon On Demand and the films are available from as little as £2! Corpo Celeste was only released in the UK on 30 March 2012 and only cost £6! So, who wants to come over to my house and watch an art-house film? I was thinking of watching Melancholia next. Wow Emm..thanks for this gem..i think i will love it. My family is from Italy..and my parents came here to Canada long ago create a better life. I think I will love this film. I had no idea! This is a brilliant service. Thanks for letting me in on this discovery.